3-D Construction Inc. Carpenter Contractors - Decatur, IL. Carpenter Contractors Serving The Decatur, IL area. questions and concerns prior to finalizing your project. satisfaction will be the top priority. IL area. Including all the surrounding communities. Champaign, IL - Urbana, IL - and Normal, IL areas. Mahomet, Farmer City and more. 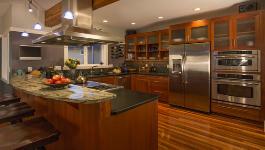 Building, Remodeling and Home Improvements Decatur, IL area. walls, ceilings, beams, sliding barn doors and more.